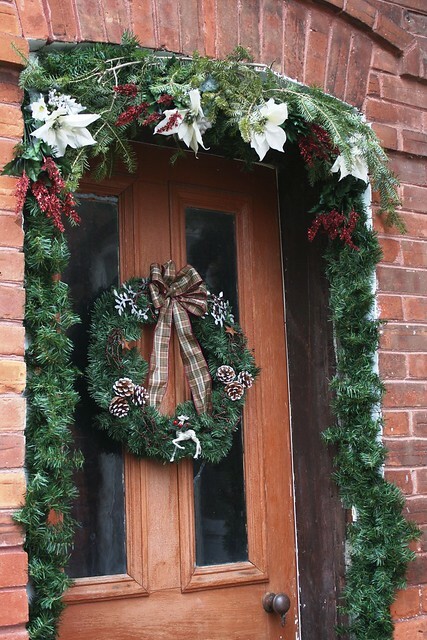 First Home Dreams: Bring on Christmas! I'm done decorating. Bring on Christmas! I'm done decorating. Just a few days after proclaiming that I'm officially in the Christmas spirit, I'm now officially finished with my Christmas decorating. I didn't do much, because really...I'm not into cleaning up a whole bunch of stuff come January, especially with the whole wedding thing happening in February. 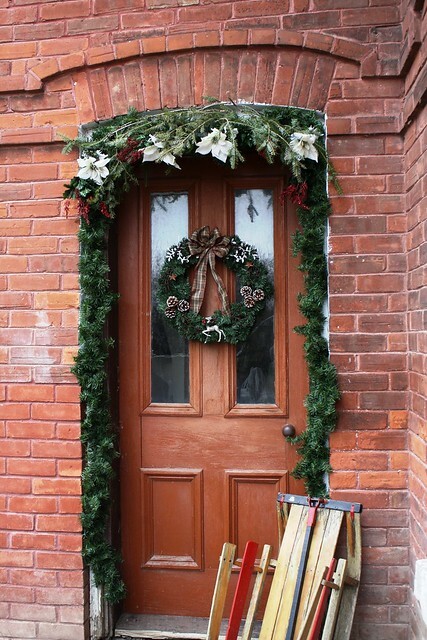 This weekend I decorated our front door, although not the one that we actually use. 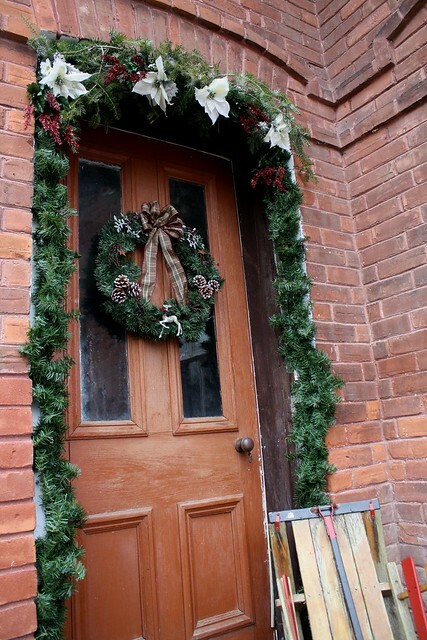 I decorated what I call the "old front door". I used 4 fake pine garland strands that I picked up at Walmart last year at something like $4 each (you can see where I used them from last Christmas here). To fill in the top, I used cuttings from our tree, and some fake floral things that are also from last year. Mike and I picked up the sled at a garage sale in the summer for $10. This poor old door is in rough shape. I would say it needs to be pulled completely apart, stripped, patched, and put back together again...along with some new glass. It's also in desperate need of proper weatherstripping. To get us through the winter I've shoved some cheap vinyl bulb in all of the gaps. 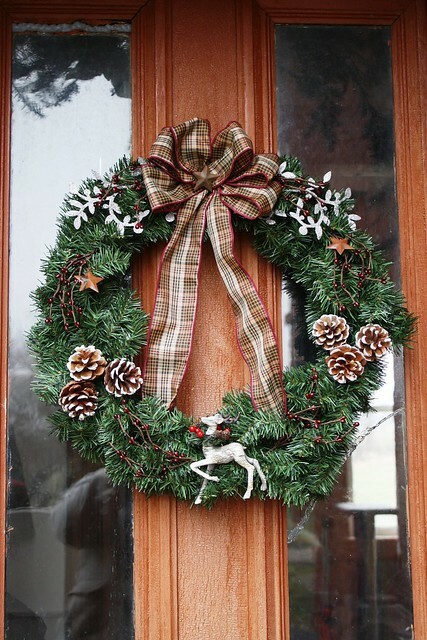 I put my wreath making skills in action again to make this faker. Everything involved with it is stuff I had from last year, with the exception of the ribbon, the berry sprigs (which was a mini wreath ornament and I hacked it apart), and the deer. In case anyone is interested...here's a source list for everything. The deer is probably my favourite thing - he's textured like birch bark! Anyone else out there done decorating? Were you done ages ago like seemingly the entire blogging world?